UPDATE November 30, 2016: Philip Corwin has today advised Domain Mondo that the letter by James Bladel on behalf of the GNSO Council, embedded below, "is still under development and has not yet been sent." Domain Mondo obtained the letter from ICANN via one of its public daily briefing emails with the text "GNSO Council to ICANN Board Thursday, November 24 2016 05:20 PM" and a direct link to the letter (pdf) with no other reference either on the ICANN website or GNSO website. New transfer policy QA | OpenSRS.com: "At OpenSRS, we believe that the ICANN community who came up with this new policy did a disservice to [domain name] registrants. The policy requirements do not add any positive element to the experience of managing a domain name, and there has been no consideration how this policy would align with the number of other ICANN mandated policies which are already in place. Nonetheless, OpenSRS is, like all other ICANN accredited registrars, bound by the terms of the Transfer Policy .." (emphasis added). For more see News Review | What Is ICANN? | New ICANN Domain Name Transfer Policy. "the GNSO Council respectfully requests the ICANN Board of Directors to instruct ICANN staff to (a) remove any privacy/proxy service compliance from the Transfer Policy and to transfer the issue to the PPSAI Implementation Review Team for evaluation and recommendation, and (b) to withhold any compliance enforcement of the Transfer Policy relating to the enabling or disabling of privacy/proxy services pending the outcome of the PPSAI IRT." "Although the the IRTP Part C policy recommendations are silent on the issue, ICANN staff, based on initial guidance from the IRTP Part C Implementation Review Team, interprets the Transfer Policy to require registrars to implement the CoR when any change is made to the public WHOIS data, even when that change does not result in a change to the underlying customer data. The RrSG has pointed out, however, that this approach is untenable as it guts the intent of the Transfer Policy (as the actual registrant may change without the process being triggered) and creates significant operational complications for routine changes carried out by P/P providers.1 While ICANN staff is sympathetic to these challenges, they are obliged to represent what they see as the direction provided by the IRTP Part C Implementation Review Team (IRTP-C IRT)." Amazon Web Services (AWS), a subsidiary of Amazon.com, Inc., offers a suite of cloud-computing services that make up an on-demand computing platform. These services operate from 14 geographical regions across the world. AWS has announced another 4 Regions (and 11 Availability Zones) in Canada, China, India, and the United Kingdom coming online throughout 2017. Each Region is wholly contained within a single country and all of its data and services stay within the designated Region. Each Region has multiple "Availability Zones", which are distinct data centers providing AWS services. Availability Zones are isolated from each other to prevent outages from spreading between Zones. Several services operate across Availability Zones (e.g., S3, DynamoDB) while others can be configured to replicate across Zones to spread demand and avoid downtime from failures. As of December 2014, Amazon Web Services operated an estimated 1.4 Million servers across 28 availability zones. The global network of AWS Edge locations consists of 54 points of presence worldwide, including locations in the United States, Europe, Asia, Australia, and South America (source: Wikipedia.org). 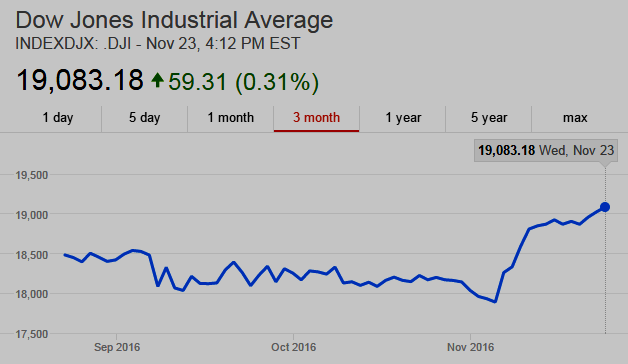 On Friday, November 25, 2016, the Dow Jones industrials climbed 68.96 points, or 0.4%, to 19152.14 (see chart above), and the S&P 500 Index rose 8.63 points, or 0.4%, to 2213.35, while the NASDAQ Composite Index gained 18.24 points, or 0.3%, to 5398.92. All three indexes, as well as the Russell 2000, closed at record highs on Friday. For the week, the Dow was up 1.5%, the S&P 500 up 1.4%, and the NASDAQ Composite Index up 1.45%. 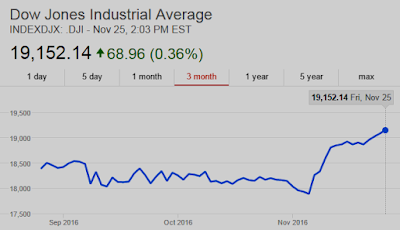 Since the U.S. presidential election on Nov. 8, the Dow industrials are up 4.5%, having reached eight new records during that period. Meanwhile small-company index Russell 2000 has closed at a new record every trading session since Nov. 14. “Nothing is stopping the market at this point.”--Jonathan Corpina, senior managing partner at Meridian Equity Partners, as reported by WSJ.com. US markets: Donald Trump’s bull run | FT.com: "David Donabedian, chief investment officer at Atlantic Trust, noted that as soon as the election results were clear, the Trump team put out a pro-growth economic message. “Coming right out of the block in the first 12 hours they hit all the right notes: the need to boost economic growth, the need for corporate tax reform, the importance of boosting infrastructure spending,” he says. That turned a fear of a visceral sell-off into an environment where “animal spirits” were restored — and upward momentum took hold." • French Prime Minister Manuel Valls Warns Europe Could Collapse: France's PM Manuel Valls said Germany and France, for decades the axis around which the EU revolved, had to help refocus the bloc to tackle an immigration crisis, a lack of solidarity between member states, Britain's pending exit, and terrorism--Time.com. • Italy’s Crisis Turns into a Multi-Headed Hydra | WolfStreet.com: "As with all major crises, Italy’s current predicament is a multi-headed hydra. It’s a banking crisis, an economic crisis, a debt crisis, and a political crisis all rolled into one, and all coming to a head at the same time." • India decides to wreck its economy: Earlier this month Prime Minister Narendra Modi announced that 500 and 1,000 rupee notes had become illegal as part of a crackdown on corruption. But scarcity of new notes has brought the economy to a virtual standstill. India is a country of 1.25 billion people and has a largely cash economy. 500 and 1,000 rupee notes were 86% of the cash in circulation. • We've heard this before--China Issuing ‘Strict Controls’ on Overseas Investment | WSJ.com: "Government to announce new measures intended to curb capital flight." --on the other hand, where there is a will, there is a way. • Fidel Castro, Who Turned Cuba Into Communist Outpost, Dies at 90 | Bloomberg.com. • You're Fired! Donald Trump’s media summit was a ‘f—ing firing squad’ | NYPost.com: "Donald Trump scolded media big shots during an off-the-record Trump Tower sitdown on Monday ... “The meeting took place in a big board room and there were about 30 or 40 people, including the big news anchors from all the networks,” the other source said. “Trump kept saying, ‘We’re in a room of liars, the deceitful dishonest media who got it all wrong.’ He addressed everyone in the room calling the media dishonest, deceitful liars. He called out Jeff Zucker by name and said everyone at CNN was a liar, and CNN was [a] network of liars,” the source said ..."
• Pollsters go back to drawing board | TheHill.com: "In Wisconsin, Clinton swept all 19 polls conducted since June, according to RealClearPolitics.com ... this year, 13 percent of voters told exit pollsters they decided their vote in the campaign’s final week, with Trump winning that group by 5 percentage points." See also: The Presidency Can Bend to Fit Trump's Personality | Bloomberg.com. • Pelosi to Face Little-Known Challenger as Democrats Rue Election | Bloomberg.com: “We have lost over 60 [House] seats since 2010. We have the fewest Democrats in state and federal offices since Reconstruction [1865-1877, the era after the American Civil War]"--Congressman Tim Ryan. See also Senate Democrats’ Surprising Strategy: Trying to Align With Trump | NYTimes.com. Feature • ICANN is struggling with its domain name marketplace index and the relevance of ccTLDs in the global domain marketplace in competition with gTLDs. See Incompetent ICANN Struggles With Its Domain Names Marketplace Index. The slides (pdf) here (embed below) are from an ICANN57 session presentation authored by Andy Simpson, Principal Data Scientist at Verisign, about ccTLDs in the global domain name marketplace. Evaluating the domain marketplace using exclusively gTLDs introduces disproportionate regional bias to marketplace characterizations. 51% of registrants' portfolios in European countries are made up of national ccTLDs. gTLDs and ccTLDs coexist and share of market varies from one country to the next. ccTLDs are a significant component of the domain name marketplace and any index that characterizes the health of that marketplace should consider the ccTLDs role and contribution. Maybe ICANN, which does not have even one data scientist among its bloated, mostly overpaid management and staff, will get a clue and hire one. Even some ICANN stakeholders are aware of ICANN's incompetence in this area (see below). Unfortunately, ICANN has mostly relied on "junk science" experts, see, e.g., News Review [20Nov]: ICANN Used 'Junk Science' Firm to Justify New gTLDs. #ICANN57 Public Forum @Jvzuck: #ICANN needs to get into the data business. Get a data scientist & collect data for use in supporting PDPs. New gTLDs - Competition, Consumer Trust & Consumer Choice Review Interim Findings & Next steps | ICANN.org: "One thing that has become clear to the CCT-RT is the need for additional data to be collected and curated by ICANN on a more regular basis. A large part of the recommendations will involve the need for robust and complete datasets for future review teams, outside analysts and policy development teams." • How Incompetent ICANN Helps Cybercriminals, Cybersquatters, & Spammers: Here’s a secret: ɢoogle.com is not google.com | AnalyticsEdge.com. 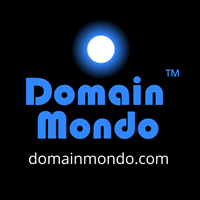 • World's largest domain name registrar GoDaddy (NYSE: GDDY) is in talks to acquire Host Europe Group (HEG), expand into the more profitable web hosting business and broaden its customer base in Europe. HEG could be valued at about €1.7B, or over 12x its forecast 2016 core earnings of €140M according to a report in Reuters.com. • ICYMI: "You had said that the Governmental Advisory Committee in the ICANN was inherently unstable, and that it was like the UN within the ICANN. Now that the post-transition terms of engagement are established, do you think that still holds?" Milton Mueller: "It is. The problem with the GAC is not so much that it represents governments. But you have this one-government-one-position approach to it, which makes it just like an intergovernmental organisation." --Times of India | IndiaTimes.com. Request (24 October 2016) (pdf): "... This is a request under your Documentary Information Disclosure Policy for information on ICANN’s process for verification of identity of gTLD bidders. There has been a lot of discussion about the legitimacy of Nu Dot Co which recently won the auction to control the .WEB domain name. Our specific questions are as follows: 1) Documents showing the process followed by ICANN to verify the identity of all gTLD bidders. 2) Affidavits filed by ICANN regarding the identity of Nu Dot Co. 3) Any other documentation showing that ICANN was able to verify the identity of Nu Dot Co. ..."
ICANN Response (23 November 2016) (pdf): "... Items 2 and 3 seek the disclosure of all “[a]ffidavits filed by ICANN regarding the identity of Nu Dot Co” and “[a]ny other documentation showing that ICANN was able to verify the identity of Nu Dot Co.” As you may be aware, Nu Dot Co.’s participation in an ICANN-facilitated auction is the subject of ongoing litigation. All pleadings filed in the Ruby Glen, LLC v. ICANN matter, including affidavits regarding the identity of Nu Dot Co. have been published on ICANN’s Litigation page at https://www.icann.org/resources/pages/ruby-glen-v-icann-2016-07-23-en. To the extent that there are any other documents responsive to this request, they are subject to the following Defined Conditions of Nondisclosure and are therefore not appropriate for public dissemination: • Information subject to the attorney– client, attorney work product privilege, or any other applicable privilege, or disclosure of which might prejudice any internal, governmental, or legal investigation ..."
• Oracle and Dyn (Dyn.com): "On November 21, 2016, Oracle announced that it has signed an agreement to acquire Dyn, the leading cloud-based Internet Performance and DNS provider that monitors, controls, and optimizes Internet applications and cloud services to deliver faster access, reduced page load times, and higher end-user satisfaction. The proposed transaction is subject to customary closing conditions. Until the transaction closes, each company will continue to operate independently. Dyn's solution is powered by a global network that drives 40 billion traffic optimization decisions daily for more than 3,500 enterprise customers, including preeminent digital brands such as Netflix, Twitter, Pfizer and CNBC. Adding Dyn's best-in-class DNS solution extends the Oracle cloud computing platform and provides enterprise customers with a one-stop shop for Infrastructure-as-a-Service (IaaS) and Platform-as-a-Service (PaaS)." --Oracle.com (emphasis added). Note: Dyn is also an accredited domain name registrar with ICANN and suffered a recent DDoS attack. • Digital Divide: Most people have access to Internet services but many do not actually use them. The spread of 3G and 4G networks across the world make the Internet increasingly available to more and more people. In 2016, mobile-broadband networks covered 84% of the world's population, yet with 47.1% Internet user penetration, the number of Internet users remain well below the number of people with network access. While infrastructure deployment is crucial, high prices and other barriers remain important challenges to getting more people to enter the digital world.--International Telecommunications Union (ITU). • Facebook Said to Create Censorship Tool to Get Back Into China | NYTimes.com: "Unveiling a new censorship tool in China could lead to more demands to suppress content from other countries. The fake-news problem, which has hit countries across the globe, has already led some governments to use the issue as an excuse to target sites of political rivals, or shut down social media sites altogether." 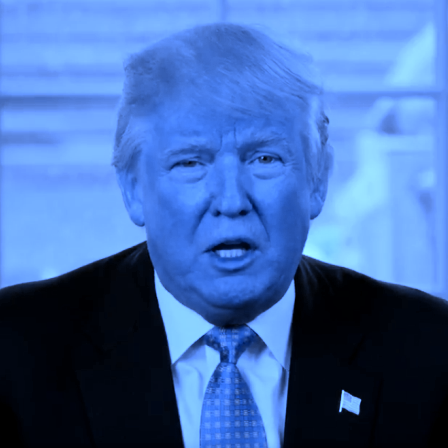 TechReview [19Nov]: Facebook's Anti-Trump Fake News, Was It Effective? • The five stages of loss are denial, anger, bargaining, depression, and acceptance. Get Over It: Stop blaming Russia, Facebook, Twitter, or "Fake News"
• Russian Agents Are Not Behind Every Piece of Fake News You See: The Washington Post's Russian propaganda story has dubious sources, little evidence to back up the data, too general claims that describe how internet news spread in general.--Fortune.com. In other words, the Washington Post (owned by Amazon.com's Jeff Bezos) is publishing Fake News in its effort to combat Fake News. • Let’s get real. Facebook is not to blame for Trump. | Recode.net: "This comes down to two very important concepts that our society has been turning its back on, in the age of social media: Confirmation bias and epistemology." • However, Facebook and Twitter as platforms did affect the election's outcome: the winning candidate was not just willing, but eager to break with traditional models of campaigning. His team invested in new ways of using the digital tools and platforms that have come to dominate the media landscape. Anyone who wants to defeat him in the future will have to do the same.--WIRED.com. • The Secret Agenda of a Facebook Quiz | NYTimes.com: "While Hillary Clinton spent more than $140 million on television spots, old-media experts scoffed at Trump’s lack of old-media ad buys. Instead, his campaign pumped its money into digital, especially Facebook. One day in August, it flooded the social network with 100,000 ad variations, so-called A/B testing on a biblical scale." • The traditional campaign is dead: “It’s hard to overstate and hard to summarize Jared’s [Jared Kushner, Trump's son-in-law] role in the campaign,” says billionaire Peter Thiel, the only significant Silicon Valley figure to publicly back Trump ... “Jared understood the online world in a way the traditional media folks didn’t. He managed to assemble a presidential campaign on a shoestring using new technology and won. That’s a big deal,” says [Eric] Schmidt, the Google billionaire. “Remember all those articles about how they had no money, no people, organizational structure? Well, they won, and Jared ran it.”"--Forbes.com. Note: FEC filings through mid-October, 2016, indicate Trump campaign total spending was only about half that of the Clinton campaign. Outresourced more than 2-to-1 in money raised, staffing, and spending, the Trump campaign nonetheless overcame the Clinton machine and establishment (MSM) media's incessant false narratives a/k/a 'fake news' (for more than a year) that Hillary was a shoo-in to be the next President, combined with a steady stream of MSM negative coverage on Trump from July-November, 2016. Clinton and the establishment MSM, and their pollsters, lost because they never saw nor understood the disruptive digital strategy of the Trump campaign that by-passed old media and traditional campaign methods, and instead, used social media to raise money and communicate directly with voters, reinforced by Reince Priebus's RNC ground game, all showcased by Trump's large and enthusiastic campaign rallies. Donald Trump, unlike desperate Hillary Clinton, never needed headliners like Jay Z & Beyoncé or Bruce Springsteen & Jon Bon Jovi, to draw a crowd. • Trump’s Transition Team Adds VC From Thiel’s Founders Fund | Bloomberg.com: "Trae Stephens will focus on defense plans for president elect - Peter Thiel worked with Stephens at his VC firm and Palantir." • Live elevator cam gives C-SPAN a lift | BostonHerald.com: C-SPAN’s live camera feed of the golden elevators at Trump Tower — showing a parade of media titans and potential White House appointees coming and going — has spawned hashtag #elevatorcam and a spike in viewers for the usually dry congressional channel. • #DrainTheSwamp: Obama techies in turmoil over sticking with Trump | POLITICO.com. • Google Pixel XL Long Term Review: "The most striking observation is how little I use Google Assistant ... Whilst Assistant impresses, it’s limited functionality puts you off from using it. Perhaps I’m just a pessimist, but when I want to perform an action, I assume Assistant won’t be able to do it. Which puts me off from asking. It’s the same with Amazon’s Alexa." --Forbes.com. See also Voice search creates vulnerability at heart of Google's business | Business Insider.com: "The problem with voice assistants is they don't have a screen on which to display ads. And analysts have noticed." • How Apple Lost China to Two Unknown Local Smartphone Makers | Bloomberg.com: "Oppo and Vivo offer subsidies to sales representatives ... top vendors in China thanks to rural expansion." • Facebook will expand its presence in the U.K. by 50 percent in 2017, joining other U.S. technology firms [Google, Amazon, IBM, et al] in increasing investment in the U.K. despite any uncertainty due to "Brexit," the country's vote to leave the European Union. Facebook will hire 500 new staff members, adding to the 1,000 people it already employs in the U.K. Facebook will also open a new U.K. headquarters in London next year, as have other tech firms drawn by talent and the tech start-up scene. • U.S. Senate Commerce Subcommittee Announces First Artificial Intelligence Hearing: U.S. Sen. Ted Cruz (R-Texas), chairman of the Subcommittee on Space, Science, and Competitiveness, will convene a hearing on Wednesday, November 30, 2016, at 2:30 p.m. on “The Dawn of Artificial Intelligence.” The hearing will conduct a broad overview of the state of artificial intelligence, including policy implications and effects on commerce. • Mr. Ryan Calo, Assistant Professor of Law, University of Washington"
Replay video at link above. • Fooled Again? Black Friday’s Inside Secret: Same Deals Every Year | WSJ.com: "Circulars from retailers like Target, Best Buy and Wal-Mart repeat products, prices from holidays past." See also: Black Friday’s Slow Death Drags On as Shoppers Migrate Online | Bloomberg.com. Loser: Wall Street analysts, who missed the point on both Google's revenue-per-click news and Amazon's earnings call. Winner: Workers in the gig economy. A UK ruling considers Uber drivers employees, rather than contractors. Video above published November 17, 2016, by L2inc.com. 0:02 A loser, again: Wall Street analysts, who missed the point on Google's 11% year-on-year decline on revenue per click. 0:09 Analysts are focusing on the fact that search-based ads have a lower value on mobile then on desktop. 0:14 However, what they missed is that Google managed to drop the price of its ads without losing revenue. 0:20 Peter Drucker, the father of modern management, summed it up as "Do not worship at the altar of high margins." 0:25 What does that mean? 0:26 It means any company that wants to compete with Google has to do so now recognizing that Google gets bigger and bigger and keeps lowering their prices. 0:35 What did every analyst miss in their over-reaction to Amazon's earnings call? 0:40 When Amazon announces a loss, it means they are winning. 0:44 What happened in Q2 when they announced record earnings? 0:46 That means someone at Amazon f*d up, and they fixed it. 0:55 and as a result has an unassailable advantage. 0:59 In 2018, they will become the first trillion dollar market cap company. 1:04 A winner: workers in the gig economy. 1:10 but anyways, a UK tribunal ruled in favor of Uber drivers being regarded as employees versus contractors. 1:17 That makes Uber drivers eligible for benefits and entitled to the national minimum wage. 1:22 We as a society have decided there are going to be winners and losers. 1:26 We've opted for consumers as number one, shareholders a close number two and workers a distant third. 1:33 Where does that leave society? 1:35 With a lot of people at home during the workday who sit on a really nice couch with a very powerful phone and an enormous screen. 1:41 Gee, that sounds like fun. 1:43 Winners: the team here at L2 marking our 100th episode, and the dozens and dozens of fans we have built out here. 1:52 This week does in fact mark our 100th episode. 1:54 Here's a look at the most frequently named winners and losers. 1:57 The list illustrates where we think the digital economy is headed, led by companies that deftly use technology to refine their product with every user interaction. 2:05 The losers? Those with their heads stuck in the sand, who still pay for audiences and are not nimble enough to evolve. Consumer Sentiment in U.S. Jumps To A Six-Month High After Trump Election Victory: Consumer confidence in the U.S. rose 8.2 points post-election to a six-month high in November, showing Americans became more optimistic about their finances and the economy after Donald Trump won the Presidential election. Americans were heartened on the whole by Trump’s victory over Democrat Hillary Clinton, with broad gains in confidence across incomes, ages and regions, according to the survey released Wednesday by the University of Michigan, as reported by Bloomberg.com. Sean Spicer, the Republican National Committee’s communications director, said on Monday morning’s transition update call that President-elect Trump may leave for Florida on Tuesday afternoon or Wednesday morning, and intends to spend Thanksgiving at his Mar-a-Lago Club (domain: maralagoclub.com) in Palm Beach, Florida, with his family. Coast Guard, partner agencies to establish security zones near Palm Beach | USCGnews.com: "MIAMI – The Coast Guard is establishing security zones in the Intracoastal Waterway and offshore near Palm Beach beginning Tuesday. The security zones are scheduled to begin at 4 p.m. Nov. 22, and scheduled to continue until the afternoon of Nov. 27, to include certain waters of the Lake Worth Lagoon, Intracoastal Waterways and the Atlantic Ocean in the vicinity of Mar-a-Lago Club and the Southern Boulevard Bridge in Palm Beach. The security zone is necessary to protect the VIP and accompanying official party, the public, and the surrounding waterway from terrorist acts, sabotage or other subversive acts, accidents, or other causes of a similar nature. Entering, stopping, or anchoring in this security zone is prohibited unless authorized by the Captain of the Port Miami or a designated representative. The security zone will be broken into three zones [see map above]." Zone (2): This zone is always in effect. All vessels transiting the second zone shall maintain a steady speed and shall not slow or stop from waters of the Lake Worth Lagoon including the Intracoastal Waterway from the southern tip of the Everglades Island in the north to approximately 1000 yards from the south of the bridge on the south and from the western shore line to the western edge of the Fisherman Island in the east. Vessels seeking authorization to transit the security zones must contact the Coast Guard via marine-band radio via VHF-FM channel 16. Since the introduction of the ATM in 1969, banks have leveraged technology to reduce cost and the friction between financial services and the end consumer. In 2015, “FinTech” startups took in $19 billion in investment capital, extending the scope of the sector beyond payment platforms to include new lending tools, personalized investment services, and wealth management solutions. Jaded by the financial crisis, 51 percent of millennials demonstrate a willingness to experiment with non-traditional providers, underscoring a potential threat to the status quo. Traditional Financial Service providers are following suit with their own investments in the FinTech arena, but have been slow out of the gate. Only half of Index brands support “Get a Quote” or “Find an Advisor” tools, putting the onus on prospective consumers to initiate next steps. And while almost all Index brands engage customers on LinkedIn, 16 percent of brands do not maintain an active presence on Facebook. Bank of America sets the gold standard in L2's inaugural Digital IQ Index®: Financial Services. The “genius” brand proves unique in leveraging SEO and SEM investments to ensure elevated visibility across top-of-the-funnel keywords, and investments ahead of the curve to provide a best-in-class experience on a smaller screen. In addition, Bank of America integrates past campaigns—including "Better Money Habits" and "Business of Life"—into emerging platforms ignored by most peers, engaging Millennials where they live. This study attempts to quantify the digital competence of 70 financial service brands operating in the US market. Members can download the full report at L2inc.com. Download the report here. Video above published Nov 17, 2016, by L2inc.com. Source of infographic: Statista - overview of the current state of the global fintech market (Jan. 7, 2016). "I'm struck by how many investors and investment-bank econ departments were putting out notes one week before the election [saying] that if Trump wins, the markets will absolutely crash ... amazingly, many of these exact same investors and economists now say Trump is great for stocks." --Jeffrey Gundlach, founder of DoubleLine Capital (domain: doubleline.com), one of the few market strategists to correctly predict Trump would win. Negative wage growth since 1973 for 50% of working men in the U.S. For many working Americans, things have economically been going from bad to worse, for many years. Growing disparity of wealth between 90% of Americans and the top 0.1% of Americans. While Washington, D.C., Wall Street, and Silicon Valley keep getting richer, much of the rest of the U.S. languishes. The growth in wealth disparity has been accelerating almost non-stop from the Clinton (NAFTA) administration through the Bush and Obama administrations. 25% Increase in Average Monthly Premiums for Obamacare in just one year (2016-2017), an economically unsustainable government healthcare program that has failed to control health care costs as Obama and its proponents promised. Median rents have risen to 30% of median income. Another squeeze, just one of many, on workers and the middle class. And some people are still confused about why Trump won? Gundlach: Donald Trump won the presidential election because many Americans felt the economy left them behind. In fact, those key demographics identified by Gundlach above, are what blew open a hole for the #TrumpTrain in the Blue Wall states of Pennsylvania, Michigan, and Wisconsin, all of which Obama won in 2008 and 2012, and if Hillary had won those same 3 states in 2016, she would be the President-elect today. The Worst Possible Democratic Leader at the Worst Possible Time | TheIntercept.com: "He possesses the same impressive political acumen as Hillary Clinton’s 2016 campaign, sagely explaining “For every blue-collar Democrat we lose in western Pennsylvania, we will pick up two moderate Republicans in the suburbs in Philadelphia, and you can repeat that in Ohio and Illinois and Wisconsin.” Schumer’s done more than anyone except Bill and Hillary Clinton to intertwine Wall Street and the Democratic Party. He raises millions and millions of dollars from the finance industry, both for himself and for other Democrats. In return, he voted to repeal the Glass-Steagall Act in 1999 and voted to bail out Wall Street in 2008. In between, he slashed fees paid by banks to the Securities and Exchange Commission to pay for regulatory enforcement ..."
Back to the markets and the economy: Trump-Trade Rally Pushes Dollar to Weekly Surge as Bonds Slump | Bloomberg.com: "The Trump-trade has dominated markets this week. The dollar extended its record winning streak against the euro on speculation Donald Trump’s economic policies will trigger faster monetary tightening in the world’s largest economy." See also Why Donald Trump May Actually Be Great for Business | Bloomberg.com (video): "Before the election, the consensus was that a Trump victory would tank the market. Then Trump got elected and the Dow Jones Industrial Average hit a record. Turns out markets and investors are feeling pretty good about a Trump presidency after all. Bloomberg Businessweek's Peter Coy looks at why businesses had a sudden change of heart." But note that Gundlach also warns that markets are "confused as to what is going to be the real trend from this election," and says beware risk assets such as the "incredibly expensive" FANG stocks (Facebook, Amazon, Netflix, Google), each of which have already dropped 4-7% since the election. “Those companies [top executives] have been Trump-bashing,” Gundlach said. “It’s ironic that people who hate Trump the most are responsible for Trump winning the White House.” Gundlach also said his FANG thesis was largely based on his belief that the companies were Clinton darlings, relics of the “old machine,” an era that has now ended: “It’s just so obvious to me,” he added. Video above published Nov 18, 2016: A revolving door of important people have been meeting with President-elect Donald Trump and his transition team at Trump Tower this past week. WSJ.com's Damian Paletta spent a long day observing the commotion in the skyscraper's lobby. Japan's Prime Minister Shinzō Abe: "Trump is a leader I can trust"
Video above published Nov 18, 2016, by FT.com: Shinzō Abe, Prime Minister of Japan, declared his trust in President-elect Donald Trump after meeting with him on Thursday at Trump Tower in New York City. Abe became the first foreign leader to meet with the President-elect in person following the U.S. election on November 8, 2016. Trump will be inaugurated as the 45th President of the United States on January 20, 2017. Trump Effect on NAFTA: Trudeau Tells Trump He’s Ready to Renegotiate NAFTA | ForeignPolicy.com and Mexico Seeks Trump Talks to Modernize NAFTA, Pena Nieto Says | Bloomberg.com: "Mexico says willing to open up the two-decade-old trade deal." See also Canada, Mexico talked before making NAFTA overture to Trump | CBC.ca: "Canada and Mexico reached out to each other while preparing similar public messages last week about working with Donald Trump before the two American neighbours both declared themselves willing to talk with the U.S. about NAFTA." Meanwhile WSJ.com reported on Nov 11: "Europe is still reeling from the result of the U.S. election and the new reality of an upcoming Donald Trump presidency. Foreign ministers who were gathering on Monday for a regular council are arriving in Brussels on the eve for an informal dinner looking at what the Trump presidency will mean for Europe, with further meetings during the week – of defense ministers and interior ministers – also likely to informally discuss the unexpected election result." Trump Effect on Apple: According to Japanese newspaper Nikkei.com, Apple has asked manufacturing partners Foxconn and Pegatron, to investigate moving iPhone production to the United States. Foxconn is reportedly actively considering the possibility, while Pegatron declined due to cost concerns. "One view among the Apple supply chain in Taiwan is that U.S. President-elect Donald Trump may push the Cupertino, California-based tech titan to make a certain number of iPhone components at home." Video above published Nov 18, 2016: Throughout his presidential campaign, Donald Trump often accused the Ford Motor Company of sending factory jobs to Mexico. Now, as a kind of peace offering, the automaker is shelving a plan to move one of its production lines there. WSJ.com's Lee Hawkins explains. Elon Musk: Trump decision on electric car incentives won't hurt Tesla | BusinessInsider.com: "The incentives 'are disadvantageous' ... CFRA Research analyst Efraim Levy told Business Insider that ZEV credits are not a big enough piece of the Tesla pie to really determine its future profitability." Not to be outdone: Kanye West: I would have voted for Donald Trump, if I had voted | Independent.co.uk. Oh no Jack! How Twitter CEO, Jack Dorsey, restricted advertising for Trump’s campaign | Medium.com: "We voiced that it was clearly a political move and telling us otherwise was just insulting." --Gary Coby, Director of Digital Advertising and Fundraising for Donald Trump's Presidential Campaign. One more thing: Why the World Needs WikiLeaks | NYTimes.com Op-ed by Sarah Harrison, Nov. 17, 2016: "... last month our editor, Julian Assange, who has asylum at Ecuador’s London embassy, had his internet connection severed. I can understand the frustration, however misplaced, from Clinton supporters. But the WikiLeaks staff is committed to the mandate set by Mr. Assange, and we are not going to go away, no matter how much he is abused. That’s something that Democrats, along with everyone who believes in the accountability of governments, should be happy about. Despite the mounting legal and political pressure coming from Washington, we continue to publish valuable material, and submissions keep pouring in. There is a desperate need for our work: The world is connected by largely unaccountable networks of power that span industries and countries, political parties, corporations and institutions; WikiLeaks shines a light on these by revealing not just individual incidents, but information about entire structures of power ..."